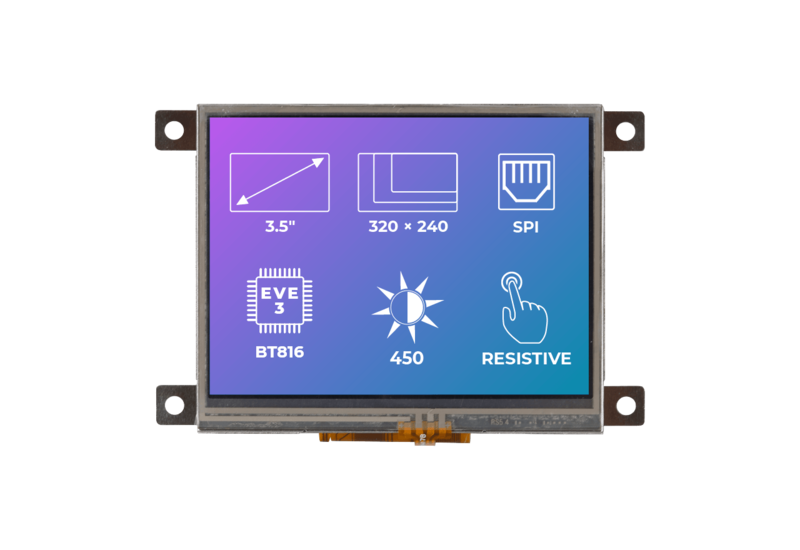 A Riverdi 3.5″ TFT display with a resistive touchscreen and a metal mounting frame. 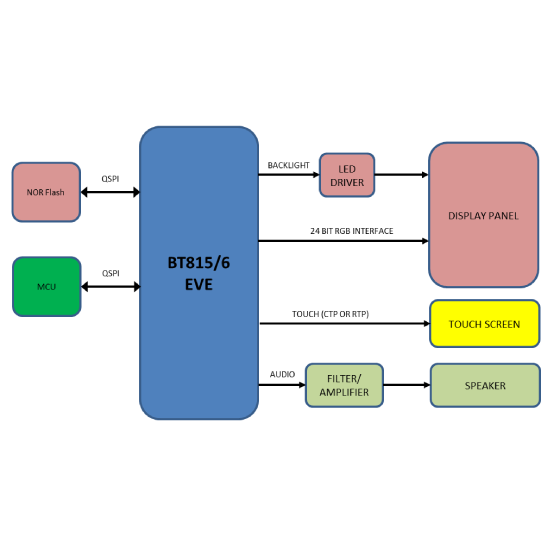 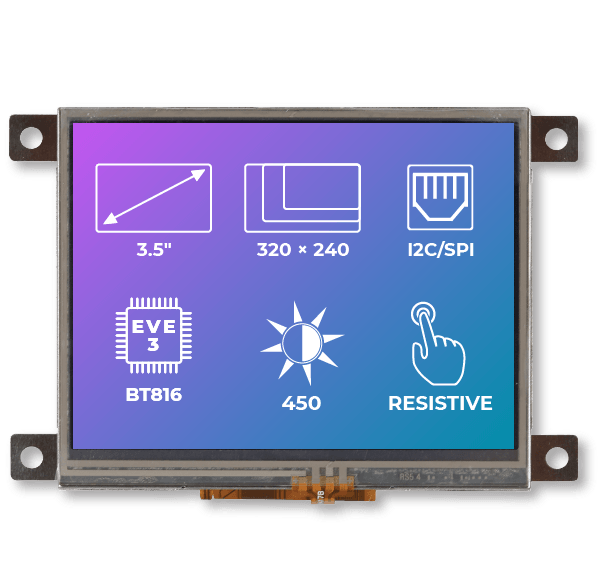 What makes the RiTFT-35-RES-FR a great display? 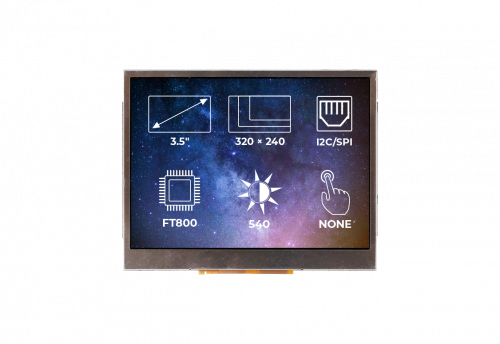 The RiTFT-35-RES-FR is a high-quality Riverdi 3.5’’ TFT display module with a resistive touchscreen. 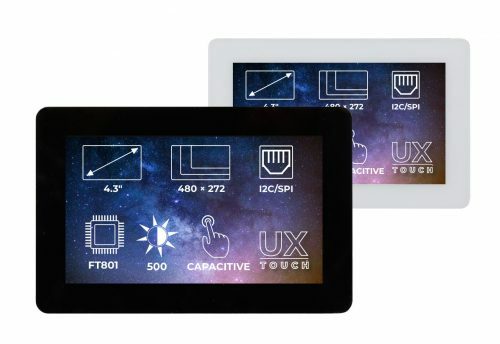 These types of screens are well-suited for more robust environments. 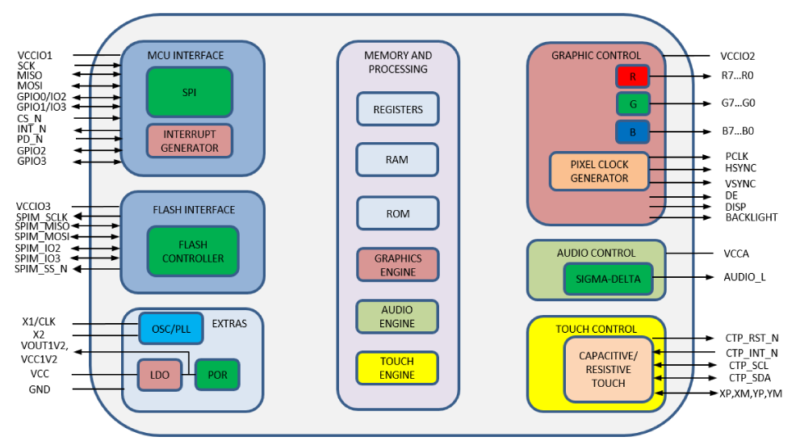 They have a high resistance to dust and other elements and they can be used even with gloved hands. 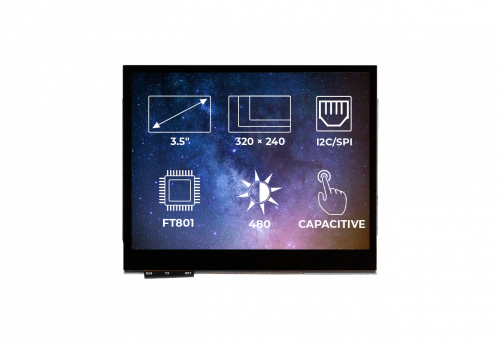 The RiTFT-35-RES-FR has a built-in LED inverter. For more information about the RiTFT-35-RES-FR see the documentation section.